The easiest way to answer this question is by illustration. 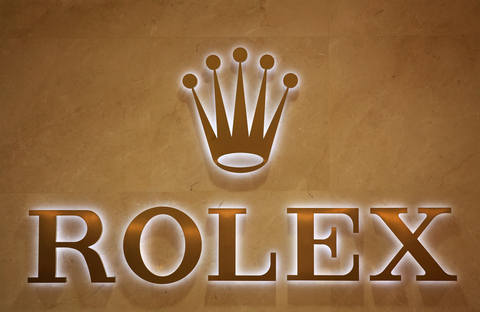 Here are two very well known and much desired trademarks, combined in one photo (1) the name ROLEX and (2) the famous Crown Design. A trademark is basically a brand name, but can also be a design (logo) that speaks for itself. A great example of that is the Nike "swoosh." A trademark or service mark ( i.e. a trademark that is used to identify services provided, rather than actual tangible products) includes any word, name, symbol, device, or any combination, used to identify and distinguish the goods and/or services of one seller or provider, from those of others, and to indicate the source of those goods and/or services. Although federal registration is not mandatory, it has huge advantages, including notice to the public of the claim of ownership, legal presumption of ownership nationwide, and the exclusive right to use the mark, or any mark that is "confusingly similar" in connection with the goods/services listed in the registration. To read more about trademarks, which, in the US, are registered through the United States Patent and Trademark Office ("USPTO") click on the button below. A trademark that is claimed by someone, but not yet registered, is designated by the letters "TM" beside it. Once the trademark has been registered, it is proudly marked with the registraiton symbol ®.